Come and build a cob workshop with us! 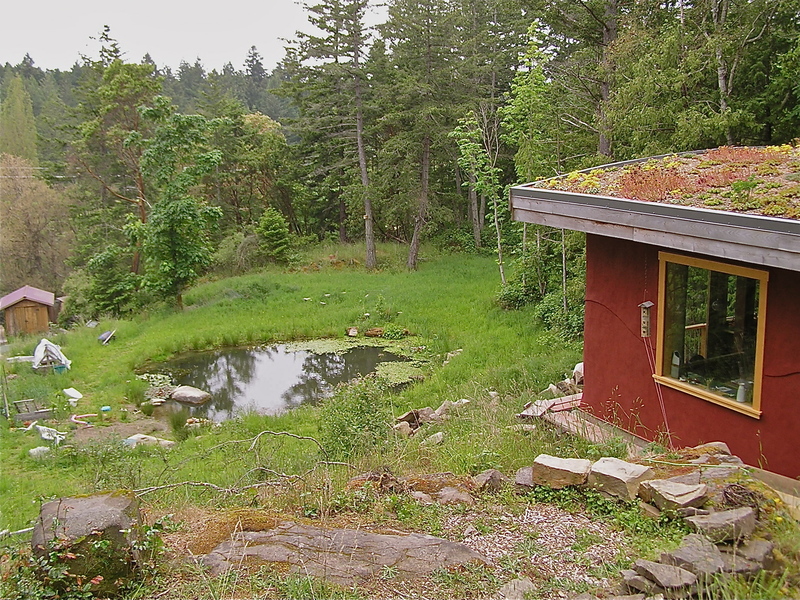 This summer we are offering an opportunity for learning about building with cob while constructing a woodworking shop on Pender Island. 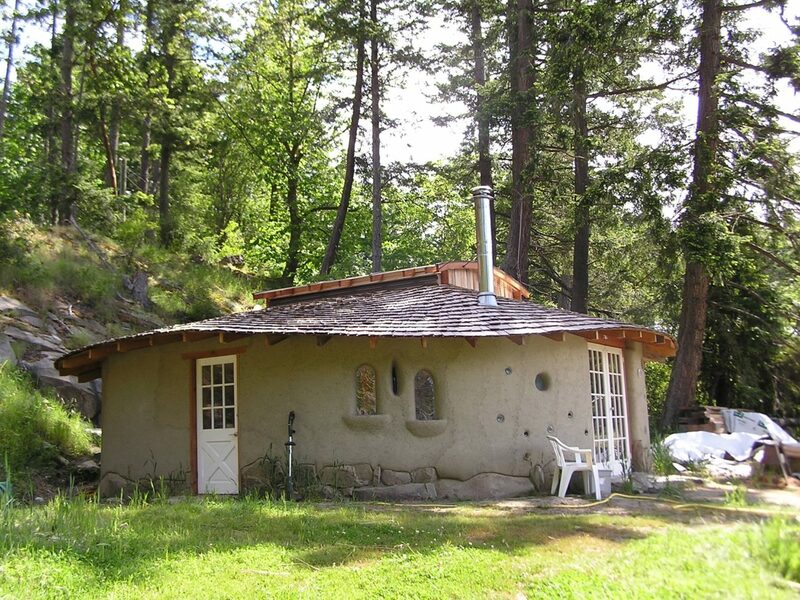 Built onto a stone foundation, we will move through the process of mixing cob and building load-bearing walls. Besides covering the basics of cobbing, we will include the finer details of working around door and window frames, constructing arches and niches, using wood lintels and exploring creative bottle and glass placement designs. Discussions will provide opportunities for questions and further site specification points, as well as other aspects of natural building. 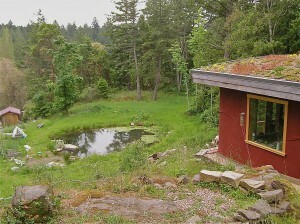 A straw bale house with a living roof has just been completed on the property. Camping sites are available in the meadow beside the swimming pond, with an outdoor shower and composting toilet. Vegetarian meals will be provided, please inform us of any special food needs ahead of time. Two positions are available for intensives covering both workshops and extra time between and/or after, as self-directed opportunities to learn more. Also, cabin facilities are possible for any needs of circumstance. 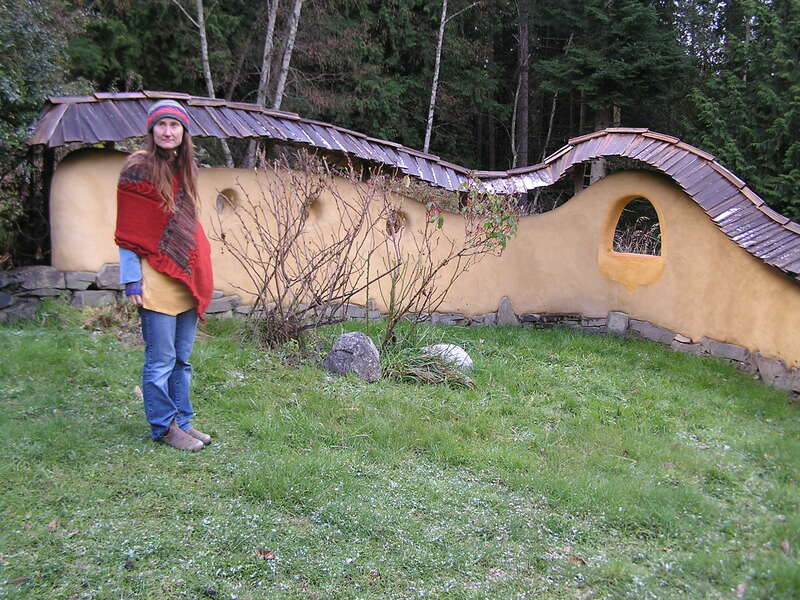 It is our hope that cob and natural building construction can be widely available methods of building for a diverse, creative, and compassionate community. 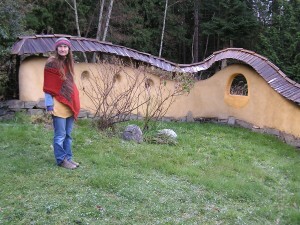 These workshops will be taught by Cobworks instructor Tracy Calvert, who has been doing natural building for 15 years, and has built many cob, strawbale, and other alternative projects. Visit inspirationalvillage.wordpress.com to learn more about us and our building projects. The workshops will be August 10-13 & 17-20. Early bird pricing at $380 until July 27/ Aug 3, then full price of $420 after that.